BE SHARP: Tamara Kuldin comes to Geelong with one of Victoria's best big bands next week. Tamara Kuldin will have the “magical” B Sharp Big Band behind her when she brings the Great American Songbook to Geelong next week. “It’s so much fun singing along with them,” she said. Kuldin described working with the band as a longtime goal. “It’s just this volume of energy that literally sweeps you along with it,” she said. 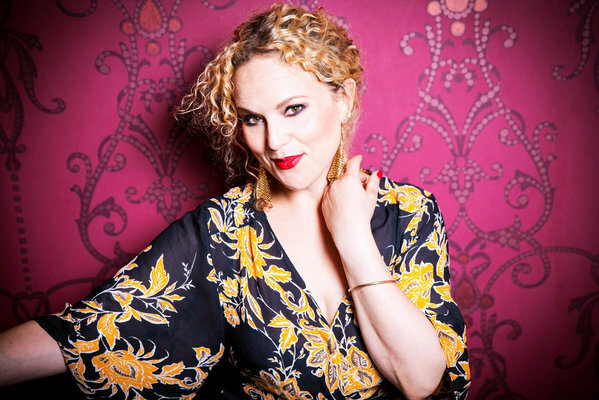 The Melbourne songstress will perform classic arrangements from the ’30s, ’40s and ’50s and the tunes of swingin’ chanteuses like Doris Day and Ella Fitzgerald. She chose the song list with B Sharp founder Henry Kovacevic. “It’s a mixture of songs that both of us love,” she said. Kuldin sung as a toddler “pulling flowers out of the front garden”, while her parents’ record collection inspired her love of jazz, she said. She had been writing and performing folk and soul songs before chasing jazz. But after a year-long “timeout” during 2010 and 2011, she decided to dive into Melbourne’s jazz scene. “There’s just such a wide and diverse jazz repertoire out there that I’m finding new songs weekly,” she said. Her rekindled love of the genre saw her perform across Australia and the world, from Paris to New York. She recently toured Italy, France and Germany with her cover album Love, Longing & Lullabies. But despite her travels her concert at Geelong Performing Arts Centre (GPAC) next Wednesday would be her first time performing in the city, she said. Along with hits from the Great American Songbook, Kuldin will sing lesser-known vintage jazz and blues songs. “I love performing because I love telling stories,” she said. Kuldin’s two concerts on 11 and 12 July will kick off GPAC’s musical mornings for the second half of 2018. “I want to encourage and welcome everyone to come along, have a sing and forget about all their troubles,” she said.